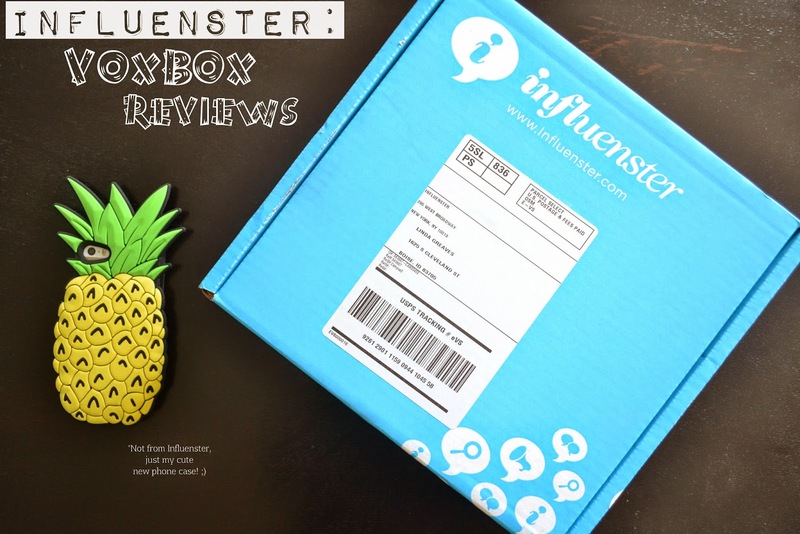 In case you didn't know, I am a part of the Influenster program and occasionally have the opportunity to review Voxboxes and other items on my blog (as I've done here, here, and here). Today, I have two Voxboxes to reveal! I'm quite intrigued to try this tanning mousse, as I've never used any tanning products to get a sunny glow. Ever since I was a child, I would run around in the sun with a layer of sunscreen on and still got a golden glow. However, now that I'm older and have adult responsibilities that involve a job that requires me to stay indoors for hours on time, I've never quite recreated that sunny glow I used to get. With this tanning mousse I think I'll finally be able to get it back and simultaneously keep my skin safe from the sun's burning rays! St. Ives has been one of my favorite products ever since I was a tween and started forming a skin routine. They're still in my lineup of affordable yet effective skin care products. Plus, it smells so good! After a day of work and a buildup of oils on the face, this is a pleasant scrub to wipe all of that away. Mmmmm, I just want to lick this balm. Is that a weird thing to say? I'm certain it would feel like popping a mint! You know you feel the same desire when you find a yummy smelling chapstick, don't lie! These sample sizes of L'Oreal Paris hair products will be going in my travel bag for any roadtrips this summer (which I am planning on, so stay tuned)! While hotel shampoo/conditioner hybrids do their job, it's nice to have some quality hair products on hand. Okay male readers, this won't be very applicable for you, but for my ladies, you know when that time of month comes around to visit and you just want to lie in bed and die? But noooo, we still have to pull ourselves through the day and pretend we're not being tortured from the inside. Well, why add the worry of a telltale red mark appearing as well? With Carefree pantyliners, continue the facade of well being with a slightly more at ease mentality knowing Carefree has got you covered. I hope you enjoyed today's post, even though I know it's a bit out of the norm. 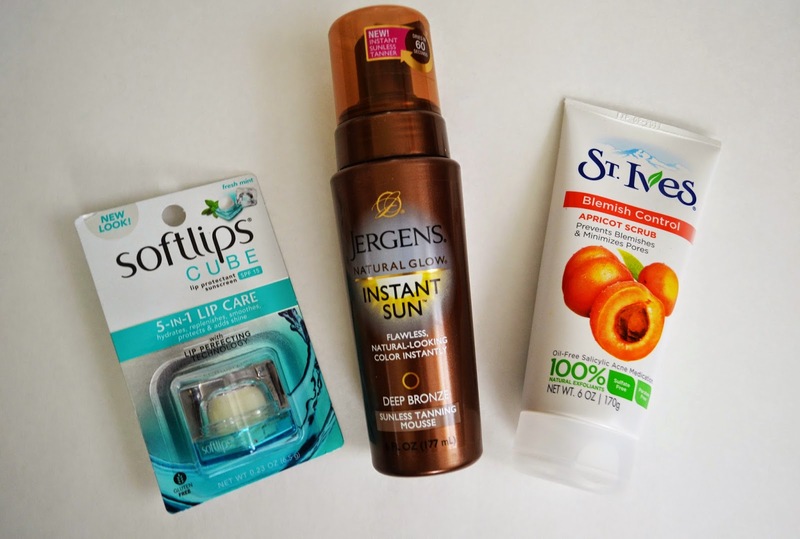 I've been trying to push myself and branch out more, and Influenster provides a great way to share new products with you and my thoughts on them. Let me know in the comments below if you've tried any of these items out and what you're thoughts on them are! Mmmm candy. I miss my monthly boxes I might have to sign up again. I've been wanting to try out a tanning product for some time but get overwhelmed with the options. Maybe I'll give this one a try! those sour candies look delicious and my mom LOVES St. Ives apricot. It's a classic. Great box Linda! Loving this sunless tanner! 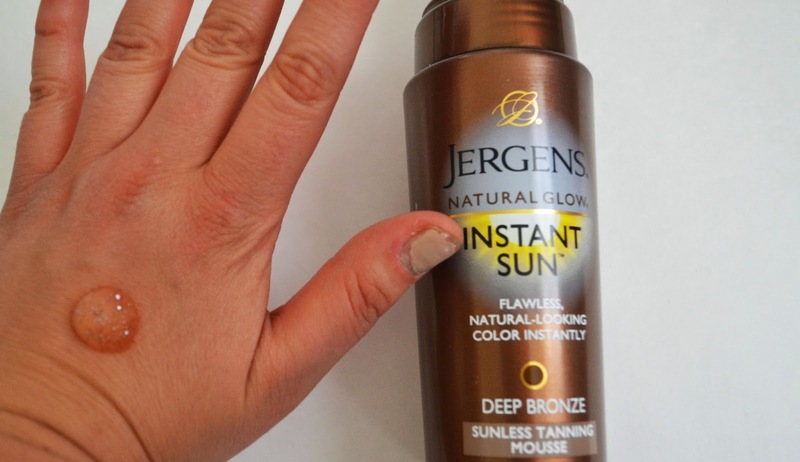 I usually use the Jergens lotion, but would love to give something else a try! 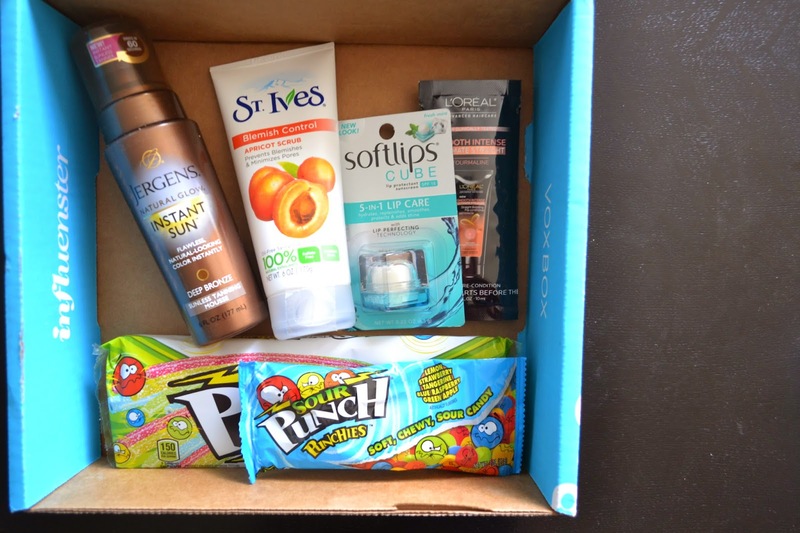 I love this box and the variety of items it has! 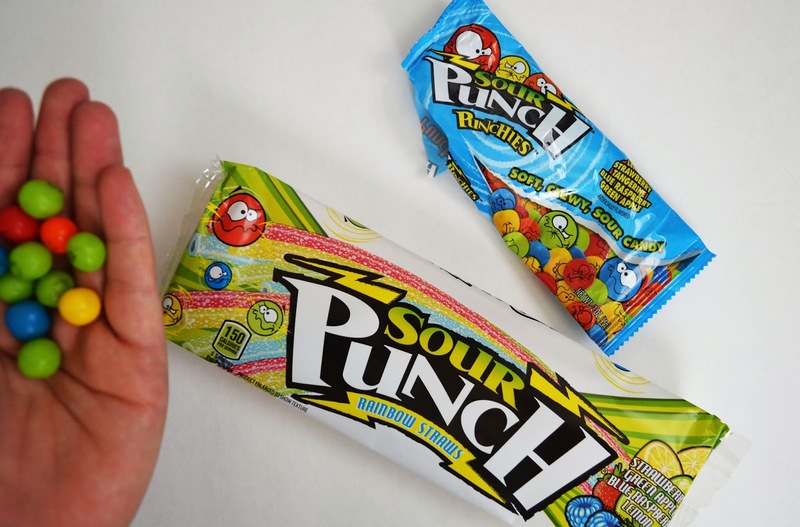 I am for anything with sour candy in it!